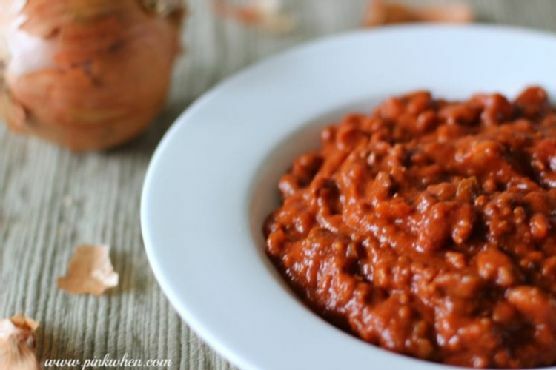 How to Make the Best Chili is a gluten free and dairy free main course. One portion of this dish contains about 31g of protein, 6g of fat, and a total of 279 calories. This recipe serves 8. For $1.92 per serving, this recipe covers 27% of your daily requirements of vitamins and minerals. The Super Bowl will be even more special with this recipe. It is brought to you by Pink When. A mixture of ground beef, tomato juice, cayenne pepper, and a handful of other ingredients are all it takes to make this recipe so yummy. 1 person has made this recipe and would make it again. From preparation to the plate, this recipe takes about 2 hours and 10 minutes. It is an affordable recipe for fans of American food. All things considered, we decided this recipe deserves a spoonacular score of 43%. This score is solid. If you like this recipe, take a look at these similar recipes: Chili Basics – How to Make and Customize Basic Chili, Chili Dip – canned tamales, chili beans, Rotel and more make for a flavorful dip, and How To Make Your Own Chili Oil.